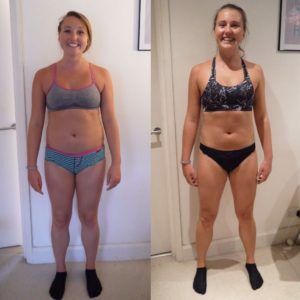 How much can 6 weeks of weight training with a Personal Trainer change your body? Can you really transform your physique in six weeks? If Instagram #transformationtuesday pictures are anything to go by, changing your body is easy if you just dedicate your life to it. But the fact of the matter is, most of us aren’t able to dedicated our lives to fitness. We have jobs, social lives and commitments which mean we can’t workout everyday and eat chicken and broccoli for dinner every night even if we wanted to. However surely it is possible to transform your fitness and physique and still live your life if you set your mind to it? 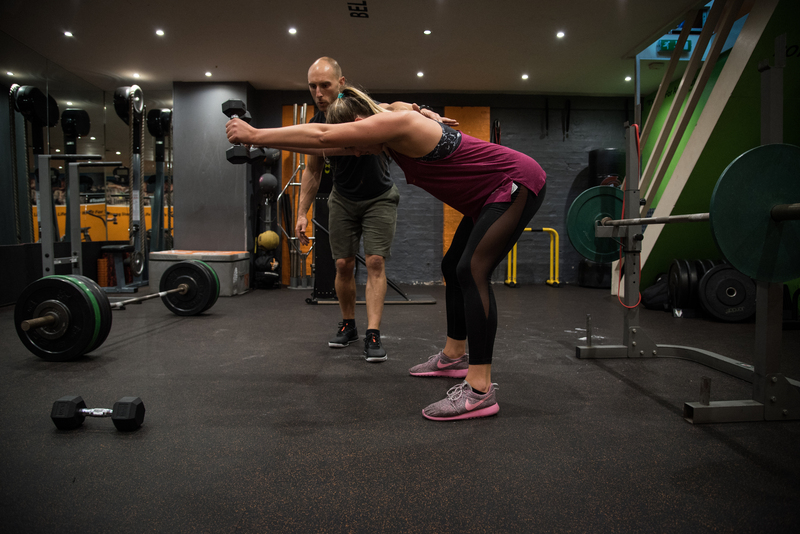 To put this to the test, two of The Independent’s staff members, Rachel Hosie and Matt Payton, worked out with a different personal trainer each for six weeks – we focused primarily on weight-training rather than HIIT or cardio. Could we turn our bodies into those of fitness influencers in a month and a half? Read on to see how we got on. 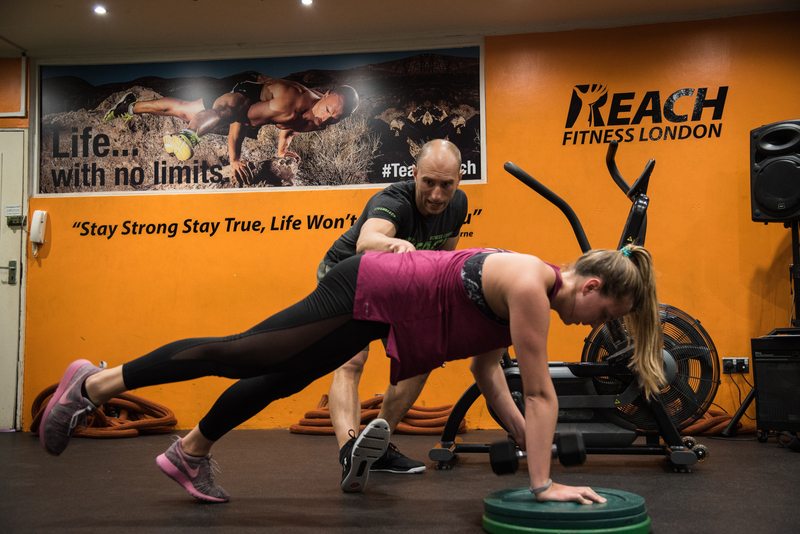 For my six-week challenge, I was to train with top personal trainer to the stars, Rich Tidmarsh, who trains Professor Green, Vogue Williams and a host of professional athletes including Harlequin Jamie Roberts. Given Rich has a reputation for being a tough trainer, I was mildly terrified. I exercised, but I wasn’t exactly into fitness. 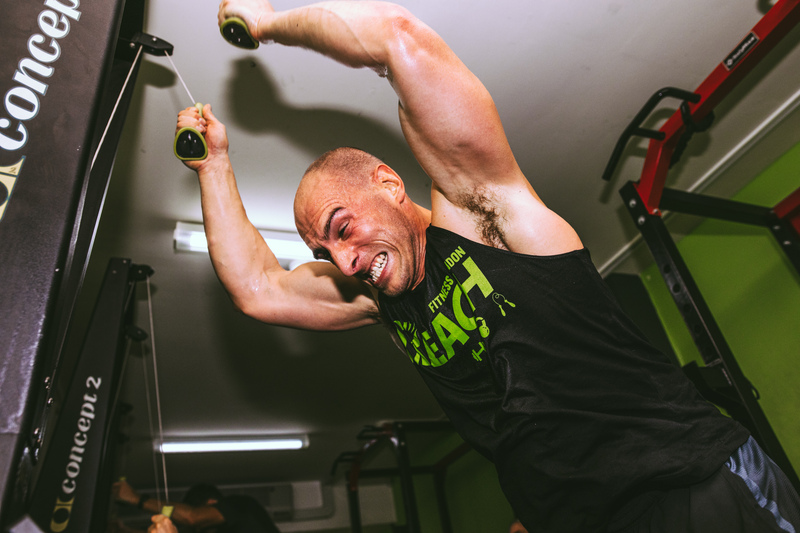 As well as personal training sessions with Rich, I was to do group workouts at his gym in Clapham, Reach Fitness. 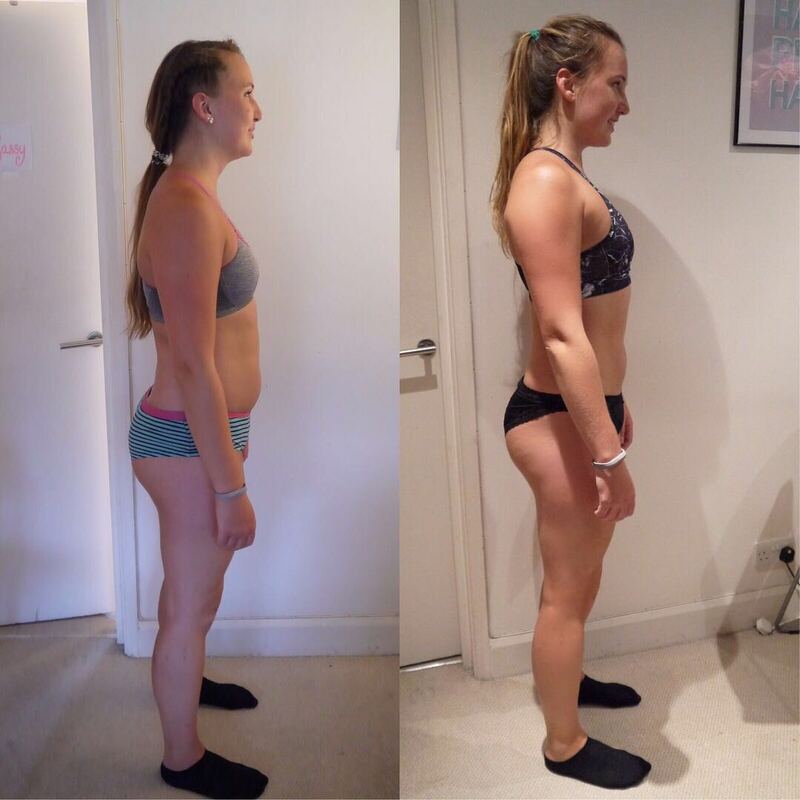 At 5’9”, my starting weight was 75.8kg, my waist measured 74.2cm and my body fat percentage was 31.2. I certainly had a long way to go. In my first session with Rich, I do lots of peculiar exercises so he can learn how my body works. The good news: I’m quite flexible in my joints. The bad news: my back is like that of an elderly lady. Always excellent to hear at 24 years old. I’m given an introduction to the basic weightlifting moves such as deadlifts, and am pretty chuffed to lift 40kg. Or I am until Rich tells me I should ultimately be lifting 1.5 times my bodyweight. As I leave the gym sweaty, red in the face and with all my makeup melted off, I was mildly concerned by the fact that Rich said he was easing me in. This was not going to be easy. The next day, I’d just shoved my second chocolate chip cookie into my mouth when Rich sent me my new nutrition plan. He wasn’t putting me on a diet as such, but explained that I simply needed to eat to fuel my fitness. I’m to count my macros – that is, the amount of protein, carbs and fat I consume every day (the MyFitnessPal app was most handy for this). Rich set my ratios as 2:1:1, meaning I must aim to eat 150g of protein, 75g of fat and 75g of carbs each day. He also tells me, tragically, that wine and prosecco are off the menu. I can, however, have gin, tequila and vodka. And I don’t need to be told twice. As the week goes on, I keep getting caught out by carbs. There are carbs in everything! Even things you don’t think are carbs! And eating 150g of protein was a challenge too – I’d resorted to adding protein powders to me diet. Me! Protein powders! I’ve resorted to weighing out my nut butter and realised I have no concept of how big a portion is. Instead of taking a piece of fruit as a snack for a train journey, I take chicken. CHICKEN! Nope, I don’t know who I am either. 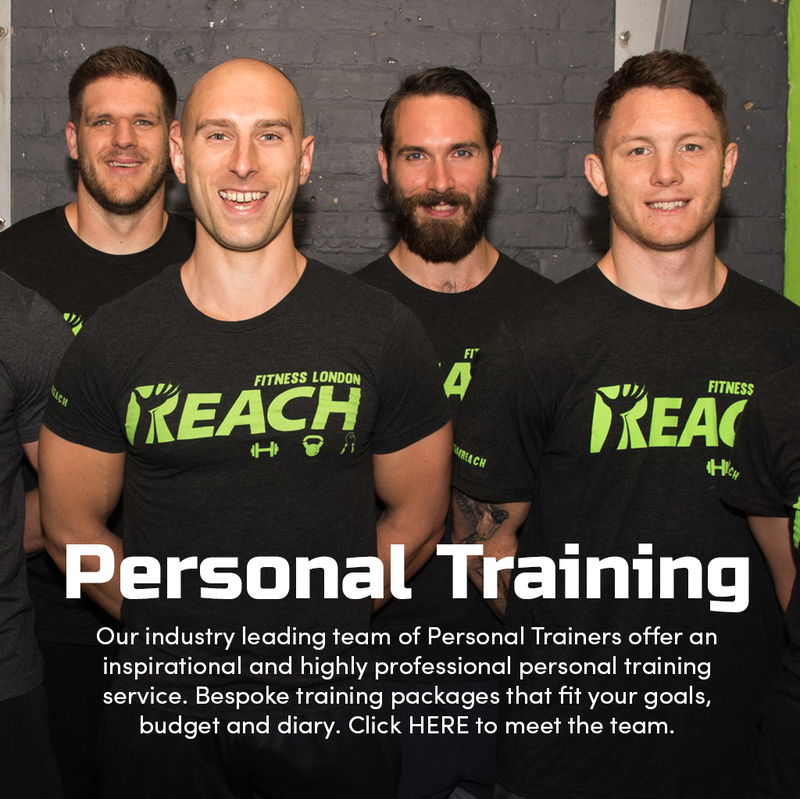 I start going to the group training sessions at Reach – I realise I love the weights-based ones but detest the sessions that are mostly cardio-based. 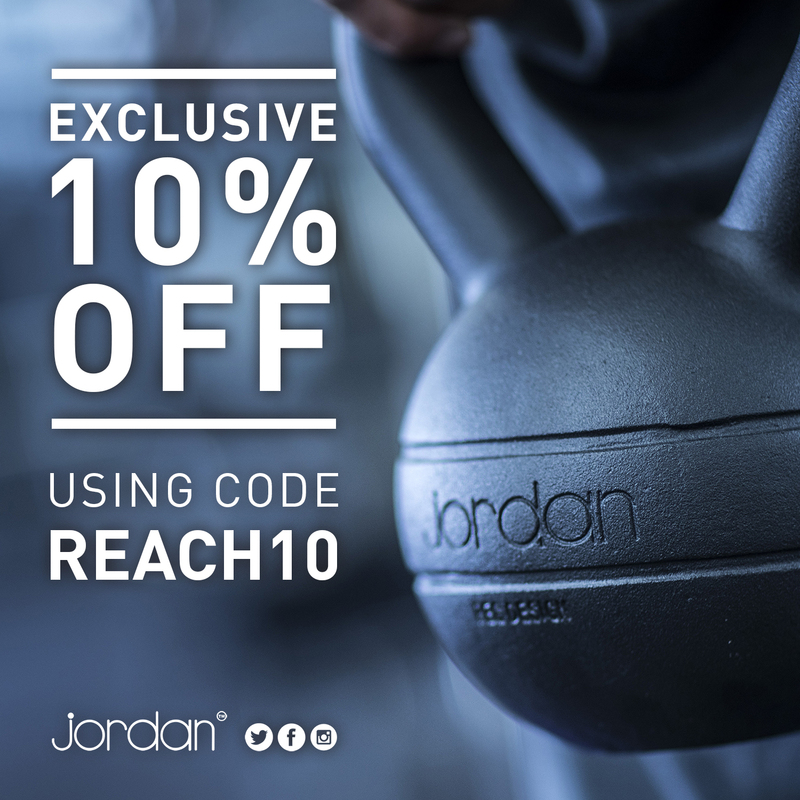 Reach feels different to other gyms because people seem to be there purely to get fitter and stronger, rather than for aesthetics. In my third PT session, I deadlift 75kg which feels incredibly satisfying, and I can really see myself getting a bit addicted to lifting weights. I’m definitely not hitting my macros perfectly every day – with a social life that revolves around eating and drinking, it’s really difficult. I’m enjoying learning new moves with Rich such as the overhead squat. As we move on to the 85kg deadlift, I’m told I need chalk on my hands to stop them slipping. I feel so legit and awesome. I’m also using muscles I’ve never used before and have started to love the feeling of DOMS (delayed onset muscle soreness) I get the day after working out. After each session, I feel delirious and exhausted but happy, even if I get a slight feeling of dread beforehand. I still feel like I’m dying in the group sessions because I’m less fit than most other people there, and I realise you really have to think about engaging your muscles when doing each move otherwise you’re basically wasting your time. Amazingly, I don’t struggle at all to meet my protein goal any more. “What?” I replied, with a perplexed expression on my face. “I want you to be maintaining your weight or perhaps even gaining weight whilst your body gets smaller,” he explains. Which is good to hear. 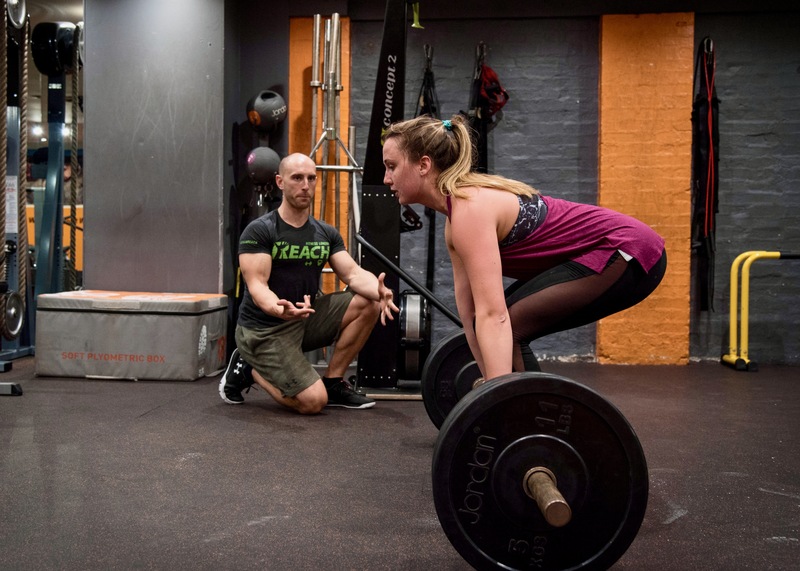 This week, we focus less on super heavy weights and more on doing more reps of lower weights – I do 50 deadlifts of 60kg. I used to be out eating and drinking every night. Now all I do is go to the gym and eat protein. I have no idea how this happened. This weekend was not my greatest health-wise – going away with friends meant I drank a lot (including wine and Pimm’s) and threw any concept of macros out the window. 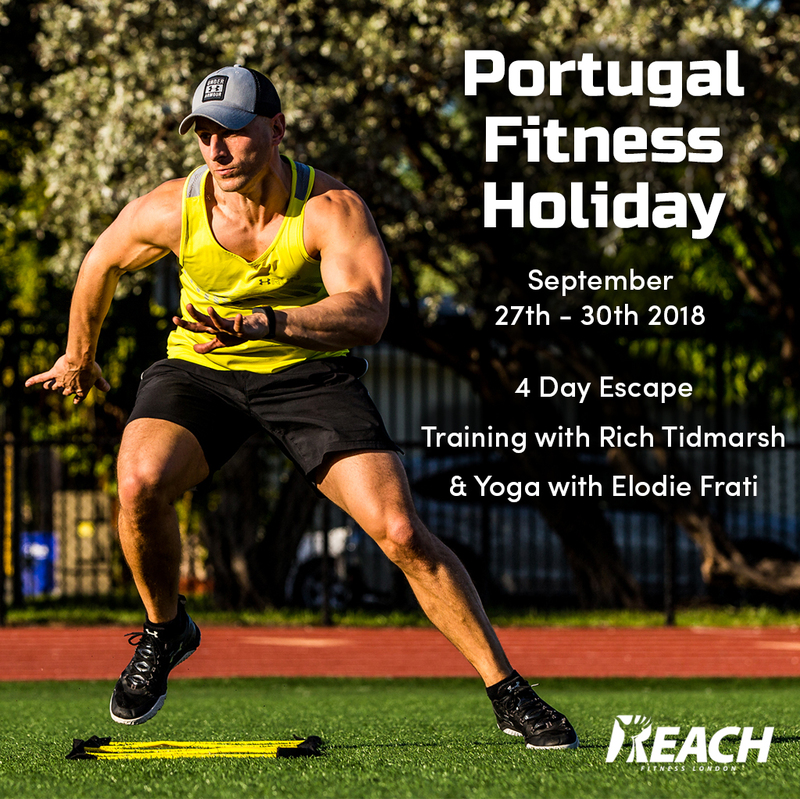 I leave my final PT session with Rich feeling amazing. Astoundingly, I deadlift 105kg, which is 65kg more than when I started. Granted, I only did one rep at that weight, but I still did it. 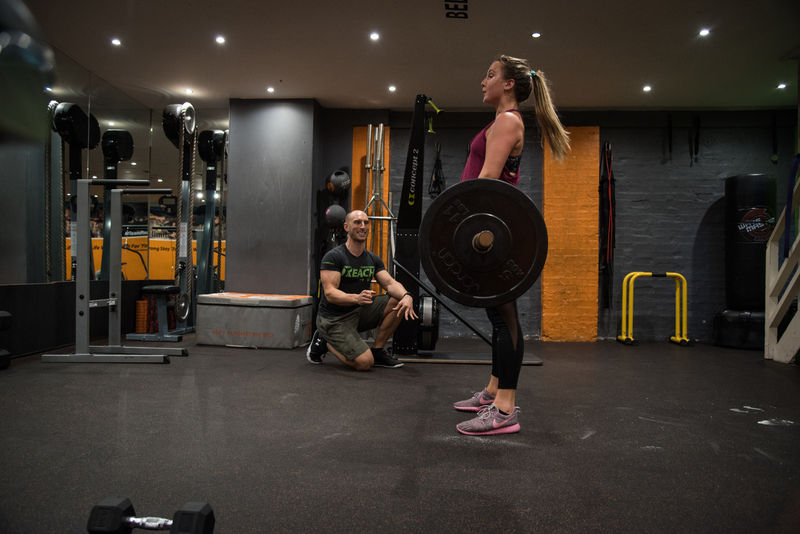 I realise I’ve learned so much about technique – now I don’t have to think about squeezing my glutes or getting my posture right, I just do it. And what’s more, I enjoy it too. I’m really chuffed with how my body has changed – unless I drastically cut down my calorie intake I’m not going to become skinny (which I wouldn’t want to be anyway), but my body has become curvier in the right places, stronger and more toned. In under six weeks, I’ve lost 8.2cm from my waist, with my final measurement coming in at 74.2cm. My body fat percentage has dropped from 31.2 to 26.5, a reduction of 4.7 per cent and – despite the muscle gain – I have lost a little weight: 1.6kg to be precise. Physical benefits aside though, my six weeks of training with Rich have changed my life because I’ve realised I absolutely love lifting weights. It’s strange how being able to lift heavy objects can feel so empowering and satisfying, but it really does. Great post! I’ve just started at Reach and love it.